A clean home interior can make a strong first impression on prospective buyers, but only if that home is accompanied by pleasant scents. Odors can make a strong impact on buyers’ perceptions of a home, including its level of cleanliness and upkeep. Although dirt and other grime can contribute to the odor of a home, additional culprits can contribute to foul smells as well. Everything from pets to the foods cooked in the kitchen to the hidden presence of mold can impact air quality and odor inside a home. Fortunately, there are ways to remedy stinky problems and come away with sweet-smelling solutions. It’s important for homeowners to realize that foul air inside a home can be the result of poor indoor air quality — which can be a health hazard. The United States Environmental Protection Agency ranks indoor air quality as a top five environmental risk to public health. EPA studies found indoor air pollutants were generally two to five times greater than outdoor pollution levels. In some cases, indoor air pollution was 100 times greater. The United States Consumer Product Safety Commission says the following can contribute to poor indoor air quality and also to some interior odors: combustion sources; tobacco products; building materials and furnishings; wet or damp carpet; cabinetry or furniture made of certain pressed wood products; products for household cleaning and maintenance and even outdoor sources such as radon, pesticides and outdoor air pollution. So how does one remedy poor indoor air quality and odors inside a home? These tips can improve conditions. • Ensure adequate ventilation. Open windows and doors when weather permits to eliminate the concentration of pollutants and help air out odors. Use exhaust fans in kitchens and baths to pull indoor air to the outside. • Invest in an air filter. A high-efficiency particulate air filter will force air through a fine mesh and trap harmful particles, such as pet dander, smoke, pollen, and dust mites, that can build up in a home. Remember to change the filter regularly. • Increase the number of plants. Plants can brighten interior spaces, and they’re also remarkable at cleaning indoor air. The Clean Air Study conducted by NASA set out to find out the best way to clean the air in space stations. The association found that the Boston fern, spider plant, Chinese evergreen, weeping fig, variegated snake plant, and English ivy, among many other plants, were ideal for filtering air and removing harmful contaminants. • Ditch disposal odors. Food can become trapped and decompose in garbage disposals. Cut citrus fruit into chunks and drop them into a running disposal to remove many odors. • Air out the washer. New washing machines have tight seals and gaskets that do not allow air to penetrate (or water to leak out). Mildew can grow as a result. Leave the washer door open after a round of laundry to let things dry and air out. • Tame pet odors. 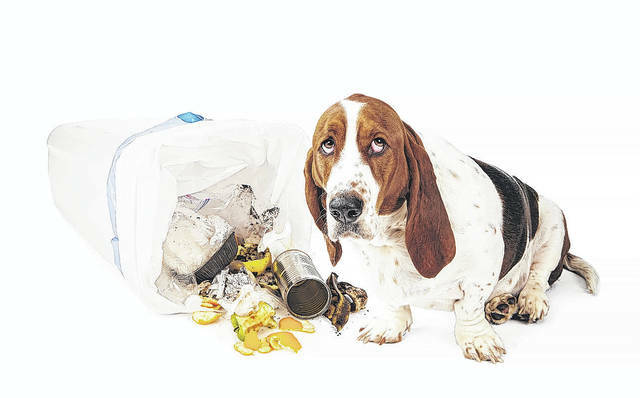 Pets contribute heavily to odor in a home. Wet dog smells are prevalent on rainy days, while cat litter boxes can pack a pungent punch. Cleanliness can cut down on smells. Use activated charcoal in litter products to tame smells and empty the litter box frequently. Make sure dogs are dried off thoroughly when coming in from the rain, and use a deodorizing spray on pet fur. Regular grooming can help as well. Odors in a home can be embarrassing and set a poor tone when inviting company over or showcasing a home for prospective buyers. Keep odors at bay by identifying the sources of smells and taking action.